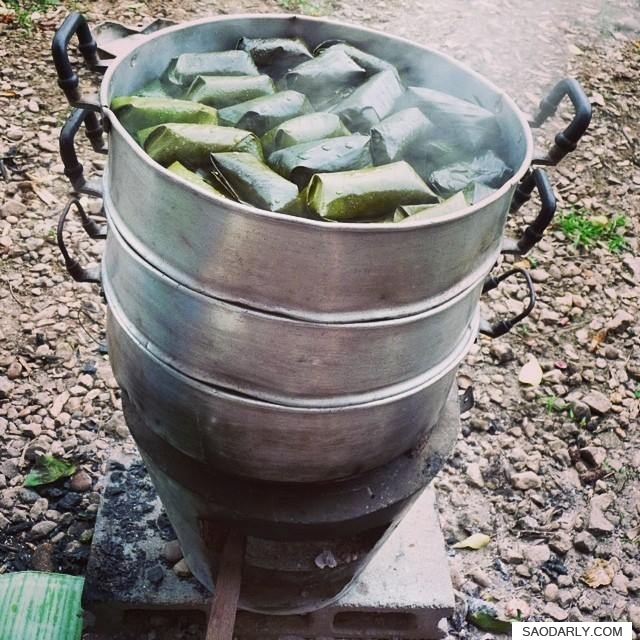 Steaming Khao Tom (steaming sticky rice wrapped in banana leaf) in Pakse, Laos. My relatives used the purple sticky rice with two types in fillings. One is sweet banana to put in the center of the rice, the other is steamed mung bean. I really like the sweet aroma of the coconut milk and the pandan leaf extract used to partially cooked the purple sticky rice in a pan, before wrapping the rice in the banana leaf. 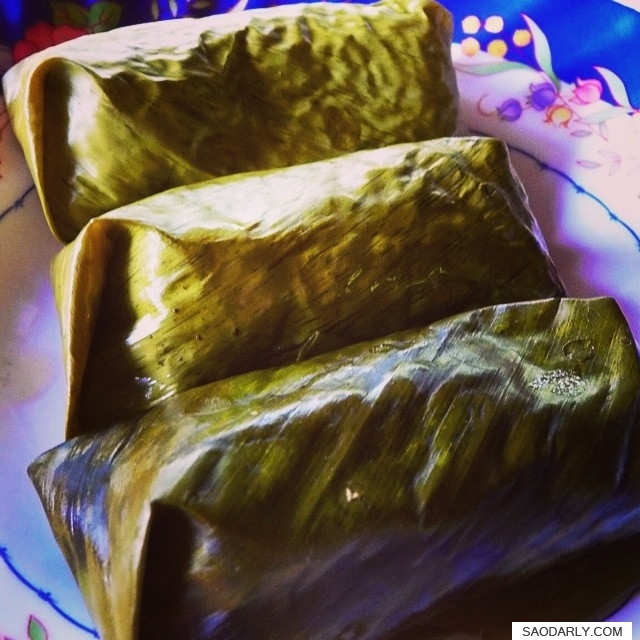 I only get to eat steamed sticky rice wrapped in banana leaf when I go to Laos. I sort of know how to make Khao Tom ( ເຂົ້າຕົ້ມ ) on my own but with eating alone, I never had a craving big enough or a reason to whip up a batch.